Justice G Rohini of the High Court of Andhra Pradesh has been elevated as the Chief Justice of Delhi High Court. Rohini is the first woman who has been recommended as the Chief Justice of the jurisdiction of the Indian capital. In the Delhi High Court, 9 out of 40 judges are women. In the history of legal India, Leila Seth was the first woman who was elevated from the Delhi high court to serve as chief at High Court of Himachal. In 2001, Justice Rohini began her judicial career at Andhra Pradesh high court. She shared the mutual alma mater with Justice NV Ramana who also worked in the Andhra Pradesh High Court. Justice NV Ramana was elevated to the Supreme Court from the position of Chief Justice of Delhi High Court. 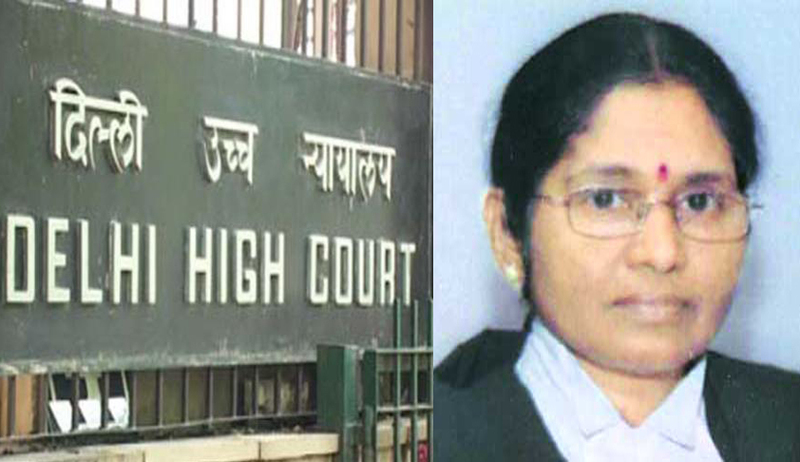 J. Rohini is at present the head of the Andhra Pradesh High Court and the senior most judge of the Andhra Pradesh High Court. Born of 14th april 1955, she was appointed as Additional Judge of the High Court in 2011. She commenced her pathway as a reporter for the Andhra Pradesh Law Journals where she later became the Executive Editor. The elevation of J. Rohini comes at the same time when the North Goa Principal and District and Session Judge Anuja Prabhudessai will also be placed as the Chief Jutstice of the Bombay High Court. She will be the first Goan woman to hold such a post.